17/31 Les Winan Thought-provoking, well-acted with nice action scenes but ultimately I'm not sure what it was about. 24/196 Max Braden This is a decent mixture of the manhunt from The Kingdom and the murky politics of Syriana. 65/98 David Mumpower Hollywood just needs to stay out of the Middle East. Syriana is the only one of these politico films that really got it right. Ridley Scott is an Academy Award-nominated director responsible for titles such as Alien, Black Hawk Down and Gladiator. Leonardo DiCaprio is an Academy Award-nominated actor whose performances include Titanic, The Aviator and The Departed. William Monahan is the Academy Award winning writer who penned The Departed. And Russell Crowe is an Academy Award winning actor responsible for such roles as Gladiator, L.A. Confidential and A Beautiful Mind. The combination of these four talents working together on a single project instantly makes Body of Lies one of the most anticipated titles on the schedule as well as a major end-of-year awards contender. What project has captivated this quartet of men? The subject matter is Body of Lies, the 2007 novel written by David Ignatius of The Washington Post. The story involves a CIA operative named Roger Ferris, who has been given the most crucial assignment of his career. He is tasked to stop an al-Qaeda terrorist named Suleiman from bringing an unknown weapon of mass destruction, either nuclear or biological in form, to American soil. In order to accomplish this act of heroism, Ferris must set in motion an absurdly complex strategy that involves making friends out of enemies, making enemies out of friends and using the corpse of an uncircumcised dead man to befuddle some soldiers. Body of Lies the book does not play out in ordinary fashion for a post-9/11 spy thriller. Instead, agent Ferris’ situation is complicated when the married man starts to fall for Alice Melville, a refugee camp worker who is the polar opposite of his vapid wife. Alice, on the other hand, has her eyes on Fairuz, a Lebanese musician. Ferris has planned to create dissension among the terrorists, but he begins to be the one questioning his own beliefs in his government. He knows all too well that their political machinations are callously calculating in tone since he is oftentimes the one implementing them. Will he have a change crisis of conscience that prevents him from stopping Suleiman? 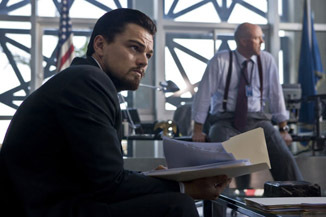 See the latest developments for this project on the Body of Lies Movie News page.